We are dedicated to providing the highest quality service and support with an emphasis on customer satisfaction. We take every step necessary to ensure that our customers’ needs are taken care of…before, during and after the sale! We offer service and support in AV Design, Installation and Sales for the Broadcast, Education, Government, Houses of Worship, Corporate, Healthcare, Sports and Entertainment markets. Encore sells nationwide with offices in Tampa & Altamonte Springs (Orlando), Florida as well as Bridgeport, Alabama. Click here to view examples of our world class projects in AV Design and Installation! Encore is an valued Panasonic partner, ready to make your dreams a reality. Immerse yourself in the world of Panasonic Broadcast, Cinema and Professional Video and see a glimpse of what we provide and install. Encore Broadcast Solutions is proud to be an Elite Partner for all NewTek TriCaster products. Contact your Encore sales team today for your best solution! Whether you are in the conceptual stage of your project or need a total revamp to elevate your system into the inevitable digital world, our Design & Engineering Team can develop a structured plan for you. We know that in order to sustain your audience in today’s world you must effectively appeal to their audiovisual senses. We will design, integrate and support your AV system for one extraordinary solution. We understand that the project does not end at installation. Our goal is to make our customers feel confident so that they receive the highest return on their investment with their understanding. Since 1992, our roots have been grounded in audiovisual equipment sales. We provide our customers with the best option for an incredible price with a foundation of extraordinary service. 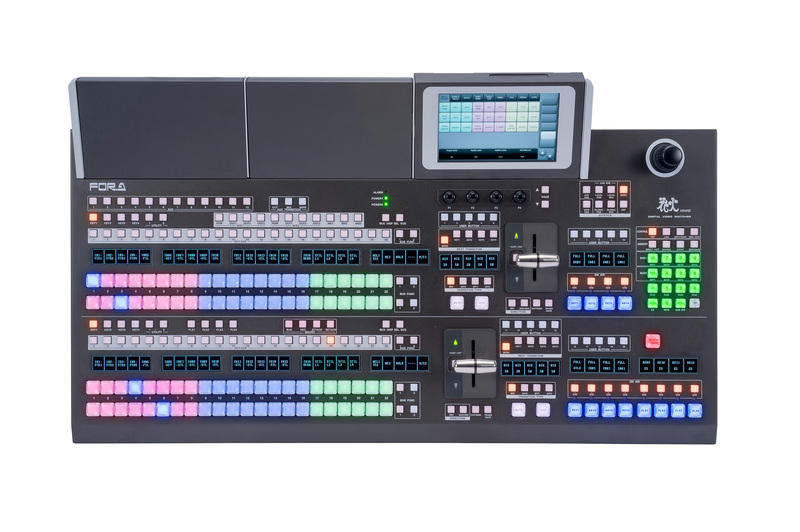 For-A’s newest production switcher, leveraging the creative power of the HANABI series. Extron’s StudioStation™ is a quick, simple, and convenient solution for one-touch recording of high quality video and audio presentations. Please click on this button when prompted by a tech support representative.